Along with the hair transplantation, beard and moustache transplantation treatments are also rapidly increasing. People used to believe that it was not possible to have a beard or moustache if it’s not naturally occurring. Thanks to novel transplantation methods such as FUE method, achieving natural-looking beard and moustache is possible. Essi Cosmetic Surgery has its own office in London, which makes us the unique company among other clinics abroad. Having the UK office means that Essi Cosmetic Surgery provides you trust and confidence with your operation decision. We follow your after-operation results through our London office so that you’ll feel in safe hands. Please see the steps of your hair restoration journey. Thanks to our free beard transplant online consultation tool, our doctors can receive your inquiries directly. To be able to assess if the patient is suitable for the operation, please fill the free online consultation form. Please click here to start your online consultation. Once our doctors have assessed your suitability, we will send you a medical report about your hair implantation surgery including current beard status and expected beard status. After you receive your report, if you decide to have your beard transplantation, we’ll book a date for you. If you need further information or explanation about your report, don’t forget that we’ve our office in London so that you have the opportunity to visit us or call us to discuss your medical report. Once you have transferred the booking deposit of 20% of the total amount, we confirm the final booking and you book your flight tickets. The rest of the total payment should be transferred to our bank account before your journey starts. Please note that our Izmir, Istanbul and Cyprus clinics are very busy in the summer term, you might need to arrange your booking at least 6 weeks before for the summer term. You should land to the city you picked at least 1 day before the surgery date. We will pick you up from the airport to the clinic for the first medical examination. You will have your first consultation with your doctor and you will be given a brief introduction of what you will experience in the next couple of days. Then your patient care assistant and driver we will take you to your hotel. We will pick you up from your hotel to the hospital that the surgery will take place. Our surgeon and his team will perform the operation. Once the procedure is finished you will be presented with an aftercare post-operative package. This package consists of various medications such as anti-biotic, mild painkillers and other assorted items to make your post-operative healing time go as smoothly as possible. We will finally bring you to your hotel to rest after the operation. You will be resting on third and fourth days. On the 3rd or 4th day, you will be visiting the clinic to make post-operative check-up. Then, when you go back to your home, we will take you to the airport. As we have our own office in London, you’ll not be forgotten after the operation. We’ll call you and have feedback from you regularly to follow your hair restoration progress closely. We’ll be forwarding all the follow up data to our doctors to be able to forward you the necessary recommendations. Can I have a beard transplantation operation on my scar? Yes indeed, beard transplantation can also be performed with those men who have scars on their face as a result of pimples, burns or incisions, for the purpose of hiding these scars from view. I have beard but not as I like to have, can I still have this procedure? Yes, people who like the appearance of a stubbly beard and want to grow their sideburns but who have a scattered and sparse beard often undergo a beard transplantation operation, too. Will I loose any moustache or beard after the operation? 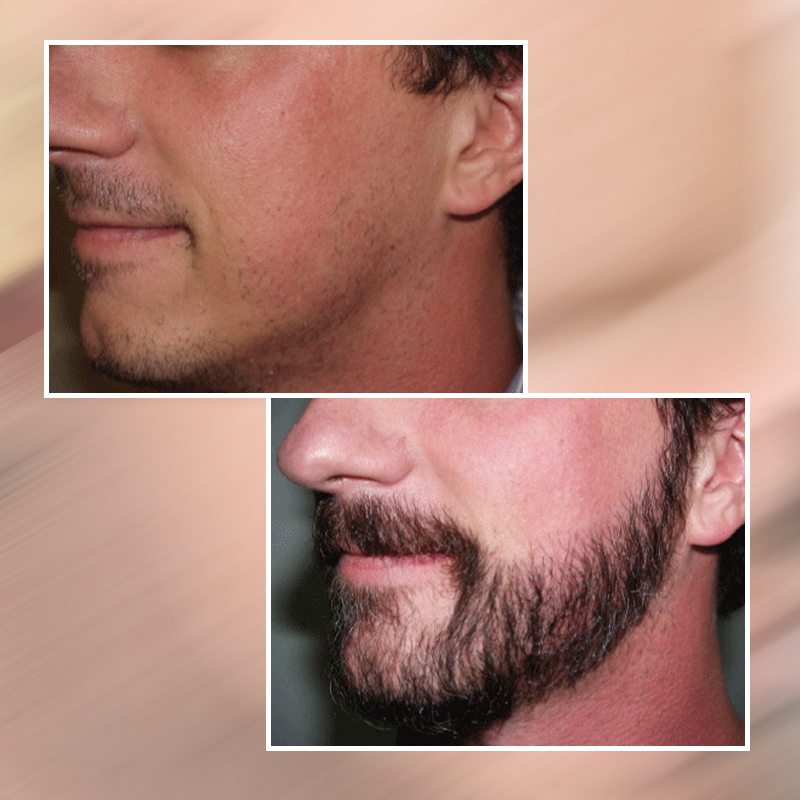 Beard and moustache transplantation performed without experiencing any beard loss for the purpose of modifying the pattern of the beard and moustache.